As a reporter for 30 years in both newspapers and television, Clarence Jones was always taking risks. He specialized in the Mafia, dirty cops and crooked politicians. Who better to kill you and get with it than a Mafia hit man or a corrupt cop who will be assigned to investigate your death? His friends were always warning him: They're Gonna Murder You. But he persisted, and became the only reporter for a local station to ever win three DuPont Columbia awards – television's equivalent of the Pulitzer Prize. He's a great story teller. The war stories from his remarkable reporting career read like a murder mystery or a spy novel. Go with him into the bookie joints in Louisville with a hidden camera. Or to a Miami crime scene, where the victims were almost certainly murdered by cops. Travel with him as he tails Florida's chief justice to a Las Vegas casino. And as you cover Martin Luther King's civil rights campaigns, always start your car with the door open. If the KKK has planted a . . . 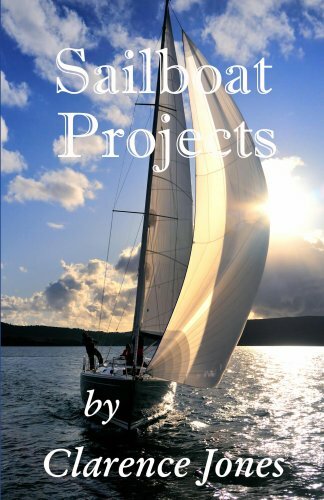 This is a marvelous collection of 11 projects to make for your sailboat. Easy, clever ideas. Some of them simple, some complex. All of them much, much cheaper than the cost for a similar item in a boating store. Author Clarence Jones is a sailor who invents things. And writes about how to make them. In clear, easy steps with lots of great pictures. Take a peek at the Table of Contents and you'll almost certainly find several you'd like to make for your boat. At this price, how can you go wrong? A how-­to manual for choosing and setting up a high-­quality webcam for maximum quality video and audio transmission. How to produce near broadcast-­quality webcam conversations for job interviews, business conferences and TV news. On-­camera skills and techniques. How to create effective sound bites and become the expert on call for instant interviews by the networks or local TV newscasts. Tips on using your webcam to get TV news coverage about your organization or your cause. Celebrate the 40th anniversary of The Rumble in the Jungle with a peek under the canvas! 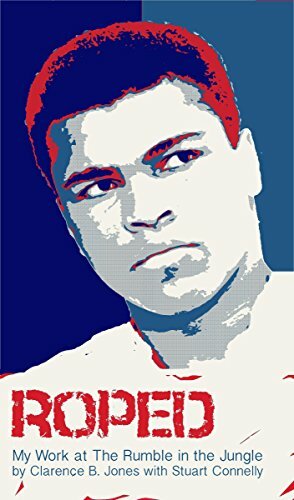 A New York City lawyer gets pulled into the fight of the century; Don King's match-­up between heavyweight champion George Foreman and underdog Muhammad Ali in the jungles of the brand new dictatorship of Zaire, Africa. Egos, politics, show business, and money collide in the sporting event of the century. A new, updated e-­book version of a classic guidebook. One of the nation's most experienced reporters and news media consultants helps you understand how the news media operate and how to cope with them. A former investigative reporter in both newspapers and television, Clarence Jones left reporting when he wrote this book to become an on-­camera coach for government and corporate executives. As an investigative reporter, Clarence Jones was always taking risks. Friends constantly warned: They're Gonna Murder You. His specialties were organized crime, crooked cops and politicians. Who better to kill you than cops who will investigate the homicide? He was the only reporter for a local station to ever win TV's equivalent of the Pulitzer Prize 3 times. A stunning book. A remarkable career. A new, updated e-­book version of a classic guidebook. Reviewers have called it the "bible" of news media relations. One of the nation's most experienced reporters and news media consultants helps you understand how the news media operate and how to cope with them. A former investigative reporter in both newspapers and television, Clarence Jones shares his candid, critical assessment of where the media are, and where they're going. With insight and years of on-­camera coaching, Jones teaches you how to look and sound your best in TV interviews. The book is divided into three sections -- Media Strategy, Media Skills, and Inside the Media. It includes basic public relations guidelines, as well as extensive, step-­by-­step recommendations when you've been targeted by the media, or need to get your story out. Interview and news conference tips, crisis management, libel and privacy law are all explored in great detail. How to safely talk to reporters off-­the-­record. Explanations of how . . .